What’s the best single-engine GA aircraft in the world? The Piper PA-46 Malibu has to be right up there – it certainly did the job when Ian Seager flew one from the UK to Oshkosh. 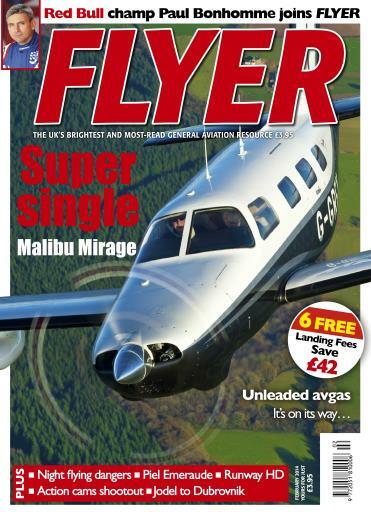 In this superb issue of FLYER Ian gives you his thoughts on this impressive aircraft, while we also flight test the more grassroots Piel Emeraude. 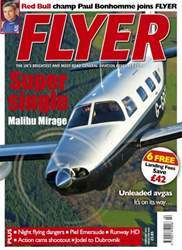 Elsewhere in this issue we look at the latest breakthrough in unleaded avgas, remind ourselves of the highlights of The Flying Show, consider the challenges involved in night flying and take a Jodel on a flying adventure to Dubrovnik. Add in six free landings, a hands-on flight test of the the best action cams on the market, a review of the latest version of Airbox’s Runway HD and absolutely loads more, and you’ll see why FLYER is the UK’s best GA magazine.